The meteoric rise of e-commerce and digital retail platforms has cast some doubt on the continuing viability of traditional brick-and-mortar stores. However, these fears are a bit overdone, as consumers are clearly not ready to embrace a digital-only shopping environment. Physical retailers can still offer quite a bit of value to customers (see figures below). 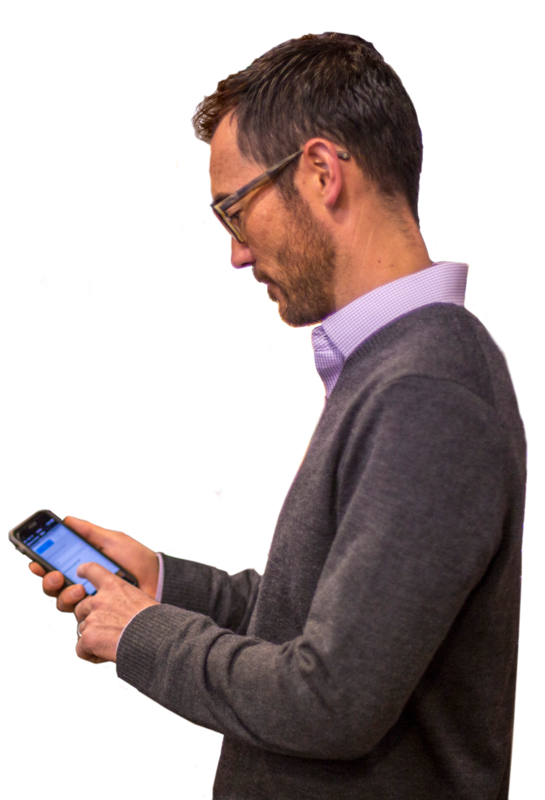 Brick-and-mortar stores offer an immediacy and tactile advantage over digital merchants. Physical retailers can thrive in this environment if they optimize location operations, which means—along with other careful merchandising—strategically managing product facings. 84 percent of respondents planned to shop in brick-and-mortar stores at least as much as they had in the past, if not more. 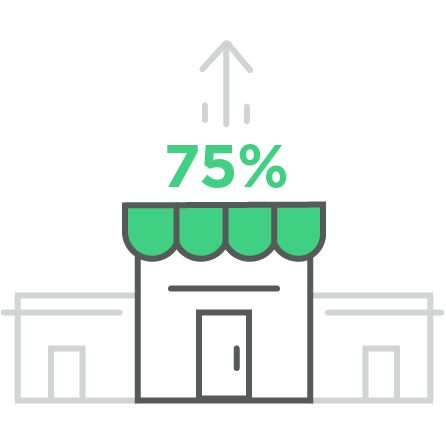 75 percent preferred to purchase items at a nearby store rather than online. 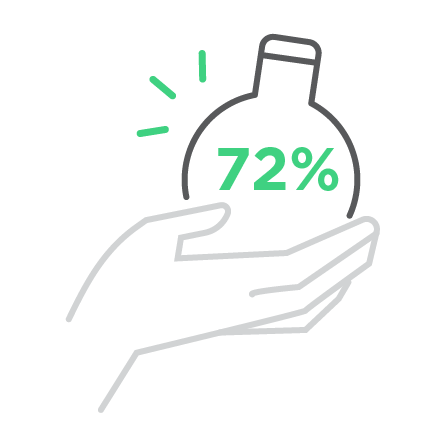 72 percent stated that they wanted to actually hold a product in their hands before deciding to buy. Many retailers have responded to growing e-commerce competition by revamping store layouts to make better use of available space and place in-demand products in more accessible locations. In 2017, Target remodeled 70 locations to improve store operations and drive up revenue. After seeing a 2-4 percent sales increase, the retail giant expanded the project to cover nearly 1,000 locations. Brick-and-mortar experimentation will continue to be a leading trend in the retail world, as companies look for store layouts that drive the most sales. Well-designed planograms put in-demand items front and center, making it easier for hungry customers to find them. Moreover, by meticulously crafting planograms and displays, retailers can make the best use of available floor space, increasing return on investment and driving sales. Finally, when retail staff closely monitor product facings, they are more likely to have accurate inventory numbers, quickly identify shelf gaps, and flag out-of-stock products. Retailers stand to make a great deal of revenue off their private-label brands. Although private labels have historically been associated with the idea of a generic, cheaper product, innovative retailers have been able to craft their own successful brand identities around these product lines. Target's clothing line, Cat & Jack, accounted for more than $2 billion in revenue in its first year alone, putting it roughly in line with Lululemon's annual sales. To achieve strong ROI on private labels, retailers need to ensure these products are well positioned within individual stores to compete with powerful, staple brands. Strategically managing private-label facings improves product visibility and grabs the attention of shoppers to drive revenue. Private labels that successfully gain traction with consumers are incredibly valuable to retailers since they are exclusive to specific locations and cannot be found at competitors' stores. Retailers cannot exclusively focus all of their attention on their own private labels, of course. Brand manufacturers and partners still often provide the bulk of retail inventory and in-demand products. As retail shelves grow increasingly crowded with new product lines and SKUs, it's more difficult than ever for any one single brand to stand out. If retailers are unable to keep top-performing brand manufacturers happy by maximizing sell-through, those companies may remove their products from stores and take business elsewhere. Losing popular brands could be devastating to the bottom line, making it essential that retailers manage product facings with their best sellers in mind. In most cases, retailers and brand manufacturers have contracts in place dictating how many facings each SKU receives and where individual products are placed on the shelf. Employees should consult those terms every day to ensure brand labels are properly positioned at all times, which necessitates clear content distribution. 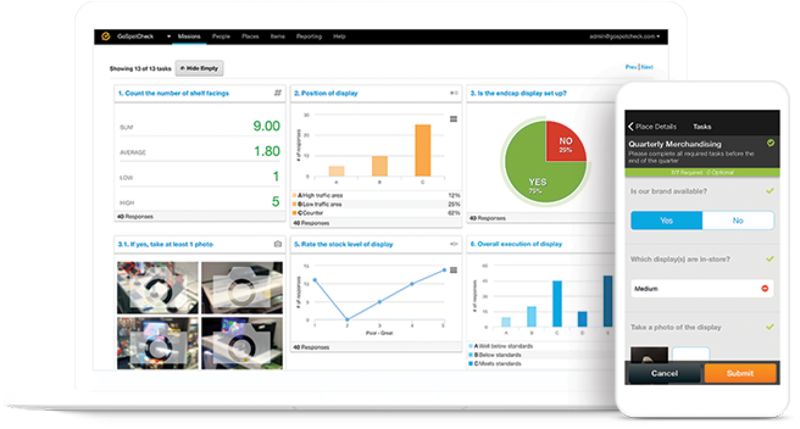 Execution management software empowers retail staff to closely monitor product facings. 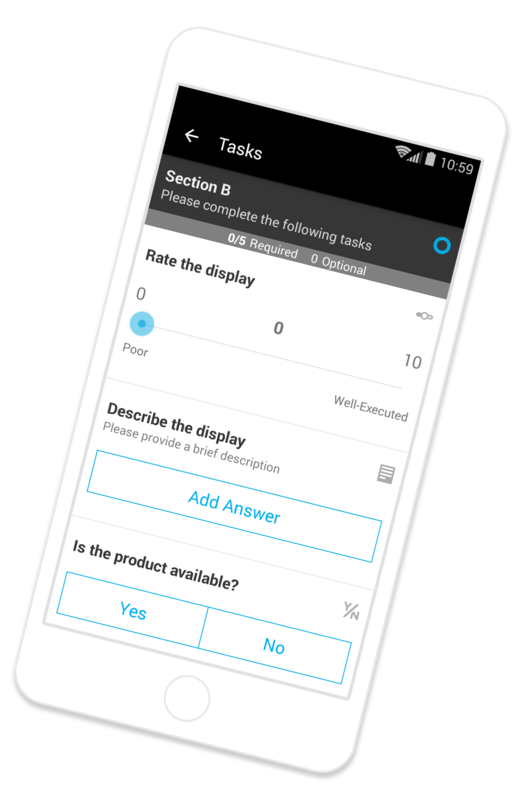 GoSpotCheck provides total visibility into shelf conditions with a convenient mobile-based solution that allows employees to review displays, generate reports, and document recommendations for improvement. In-store employees often check that retail shelves reflect approved planograms and conform with the terms of brand manufacturer contracts. If anything is amiss, staff members can flag those issues—while collecting data with GoSpotCheck—to ensure problems are resolved in a timely manner. In addition, GoSpotCheck's alert system ensures that stores adhere to product facing best practices so nothing slips through the cracks. 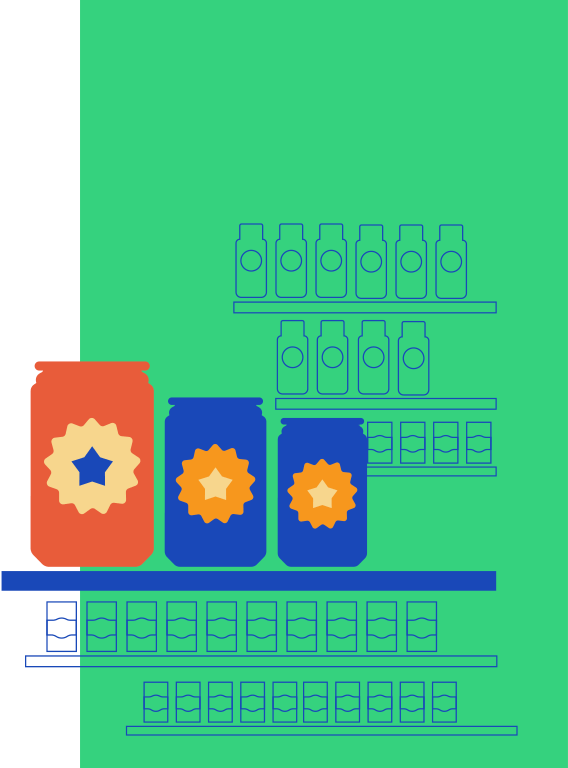 Closely tracking in-store product facings at this granular, meticulous level allows retailers to optimize their shelves and increase revenue for both their own private labels and their most valued brand manufacturers. 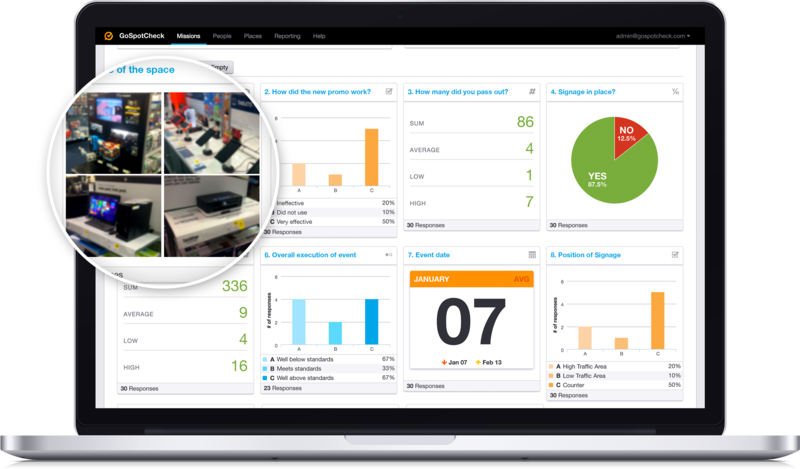 Deploying GoSpotCheck puts retailers in the best position to succeed in a post-digital world, strengthen sales, and create data-driven strategy.